Alison Jones: Hello and welcome to the Extraordinary Business Book Club, and today with me in the club is Whitney Johnson, who is recognised as one of the 50 leading business thinkers in the world. She’s an expert on disruptive innovation and personal disruption. She’s the author of Disrupt Yourself: Putting the Power of Disruptive Innovation to Work, and more recently, Build an A-Team: Play to Their Strengths and Lead Them Up the Learning Curve. 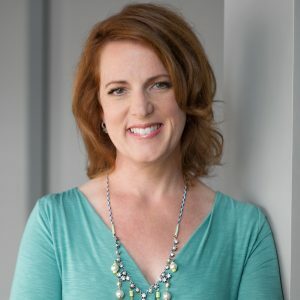 A former Wall Street analyst, Whitney developed her disruption model and diagnostics after having co-founded the Disruptive Innovation Fund with Clayton Christensen, and in addition to her work as a speaker and advisor, she’s one of Marshall Goldsmith’s original cohort of 25 for the 100 Coaches Project. She’s a coach for Harvard Business School’s executive education programme, a frequent contributor to the Harvard Business Review and, brilliantly, hosts the Disrupt Yourself podcast. So welcome to the show, Whitney. Whitney Johnson: Thank you Alison. I am so happy to be here. Alison Jones: It’s lovely, I really love having fellow podcasters on as well because they just get the whole audio thing and it’s brilliant. So, you were recommended to this show by Ayse Birsel and she talked about something that I loved, your idea that we should reinvent ourselves every five years. So just tell me a bit more about that. What was your own experience of personal disruption and why do you think it’s so important? Whitney Johnson: Yes, so let me give a little bit of background. This whole idea of, what is disruptive innovation, actually, and I think it will lead to the story and answering the question that you just asked, is when I was working on Wall Street, I came across this book called The Innovator’s Dilemma by Clayton Christensen. And one of the big ‘ahas’ for me is, as a Wall Street analyst, I kept looking at what was happening in the markets I was covering and every single quarter the numbers for wireless kept beating my estimates like over and over and over again. And so then I read The Innovator’s Dilemma and I suddenly understand, oh, that’s what’s happening. Wireless is disrupting wire line. And so I finally had this framework to understand the stocks that I was trying to pick, why the their numbers kept on beating my estimates. But as I read that book, I started to have this kernel of an idea that this whole theory of disruption that we’re applying to products and services and even investing and companies and countries, actually also applied to people. And at a very basic, basic level, it was a framework for managing change. At its simplest, Disruptive Innovation is this idea of a silly little thing takes over the world. We saw it with the telephone and the telegraph, the light bulb and the gas lamp, and then more recently with companies like Toyota disrupting General Motors, Uber disrupting cabs, and then Netflix disrupting Blockbuster, and now Netflix being a little bit disrupted by cable TV. The difference with personal disruption, this is really where this started to take root for me, is that with personal disruption, you’re Toyota and you’re general motors. You’re Netflix and you’re Blockbuster. You’re this silly little thing and you take over the world because you are disrupting you. So that’s the background of the idea. Now, how does this play out in my life? Oh, in so many ways. I’ll name a few. One is that after graduating from college with a degree in music, made my way to New York with my husband and decided that I was going to work on Wall Street. So I disrupted myself, not doing music, doing Wall Street. But in wanting to work on Wall Street, because I was a music major, because I had never set foot in a business course because I had no contacts, because it’s probably kind of obvious I’m a woman, I started as a secretary. Because that was how you started in the late eighties, early nineties. And so that was a very disruptive, sort of silly little thing, kind of move. I didn’t walk in the front door. I had to go in the side door. Then as I started as a secretary, I had this opportunity, because I had finally started, or started as a disruptor, I was able to move from a secretary into investment banking, which rarely happens, but I had gotten my foot in the door. And then that opportunity came along. After moving up in investment banking, a few years later, there was a merger. Our bank was acquired, there’s a shakeup. My boss gets fired. There’s not really a role for me at this point, I think in part because I was pregnant, they were like, we got to find something for her to do. So I was moved. But actually I was shoved into equity research, which if you’re in financial services, that feels a lot like a step back. But it turned out to be a huge career maker for me. And that’s often what happens with disruption, is you take what looks like a step back. But it turns out to be a slingshot forward. So, became an analyst, career maker moved all the way to the top. Along the way, I became a parent, which is a huge disruption. And then a few years later, about 10 years later, now at the top of my game, I disrupted myself to become an entrepreneur. Did lots of different things, many of which didn’t work. But around that time I also connected with Clayton Christensen at the Harvard Business School, and eventually co-founded an investment firm with him to invest in disruption. And then the most recent disruption is in the last five years where after investing using this framework of this little thing takes over the world, I thought I need to chase this down because I believe that the fundamental unit of disruption is the individual. And so I just disrupted myself. I left the investing world and have really focused now on thought leadership, on writing books around these topics of how do I make it safe for people to change. Alison Jones: Brilliant. And there’s two questions I’ve got for you. One is, what’s magic about five years… Well, let’s start with that one. What’s magic about the five year period? Whitney Johnson: OK. I love that question. All right. So what’s magic about it is that every single person is on a learning curve, including you. We’re all actually learning machines. It’s like the biology of who we are. So we want to not know how to do something, figure out how to do it, master it, and then start all over again. So bottom of a learning curve, climb to the top, jump to the bottom of a new learning curve, you learn, rinse and repeat, you disrupt yourself like when you graduate from high school, like when you graduate from college. Well, what we found in our research is that this learning curve, which is based on the S curve that was popularised by Ian Rogers in 1962, is that when you start mapping out how long it takes for you in each role is you need about six months to a year at the low end of a learning curve, where you don’t know what you’re doing. And then after about a year you move into the sweet spot or the steep part of that learning curve and you’re there for two to three years. And then you get to the high end of the learning curve, and you can be there for six months, maybe a year. Things start to get really easy. But because you’re bored, what looks like this plateau, this top of the mountain, becomes a precipice. And so if at that point you don’t disrupt yourself, you’re at risk of getting disrupted. Now, there are obviously situations where you can elongate that curve and you can extend it out for quite a long time. But on average you’re on a learning curve for about four years before it’s time for you to disrupt yourself and start over again. Alison Jones: That’s fascinating. And leads beautifully onto my second part of the question really, which was, it’s quite painful, disruption. I was wondering, is it because you need to disrupt yourself at the point where you’re comfortable? Or is it because actually the pain of not disrupting yourself becomes worse than the pain of disrupting yourself at that point? Whitney Johnson: It’s such a great question. I think that’s what gets you to do it. What’s fascinating is that we all know that we need to change. And we all like to believe that we fully embrace change. You know, if you can picture again that S and you’re at the top of this mountain, you think, “Okay, let’s go jump off that learning curve, cliff diving into something brand new.” We like to think that we do that, but most of us are pretty allergic to change. And so what has to happen oftentimes is once we get to the top of the curve, instead of thinking about all the fantastic, wonderful things that are going to happen to us, if we do jump, that’s promotion focus, which is what Heidi Grant-Halvorson would talk about, we have to think about what bad things will happen to us if we don’t jump. And that really starts to move into the loss-aversion theory of Daniel Kahneman and Amos Tversky. What bad thing will happen to me if I don’t change? What bad thing will happen to me if I don’t jump? And oftentimes that’s what actually motivates us once we’re at the top of that learning curve to try something new. There’s a little bit of some exciting things will happen, but a lot of it is, I better do this or something bad’s going to happen. And in fact, I would argue, one more thought on there. I think that … Certainly in my own life, I’ve been fired. I think a lot of people have lost a job or been laid off at some point. I have a hypothesis that we lose our jobs because we’re at the top of a learning curve and we know it’s time to go and we won’t go, and so the universe gives us a nudge. Alison Jones: It’s a great way of reframing it, isn’t it? But actually it plays exactly what I was going to ask you next, which is that thing about autonomy. Because I love that vision of you standing on the precipice and you launch off into the unknown, and if you’re feeling in control of that, if you’re deciding when to jump, that’s one thing. I think most of us can get quite excited about that kind of change. But the disruption that happens to us, oh man, that’s harder to deal with isn’t it? Whitney Johnson: It’s so hard. It’s really, really hard. And so the interesting thing is, is that whether you jump off the precipice or whether you’re pushed, they both can have the same effect of putting you down at the bottom of a new learning curve where things are fresh and you can learn again. And so the question is that once you get there, I mean, every experience can be seen as a failure or success. I love the quote from John Milton, “The mind is its own place that can make of every heaven a hell, or every hell a heaven.” But I think it’s also true is that the mind is its own place and can make of every jump to a new learning curve or a push off a learning curve, a success or a failure. We get to decide. It’s always our choice. Alison Jones: Yes. Brilliant. And that leads beautifully into the subject of the book really, because disrupting yourself, that’s one thing. Knowing that you’re setting out as a leader to disrupt other people, that’s a whole new thing with a whole new set of challenges and responsibilities, I guess, around it, so just talk us through that transition in your thinking and your writing and your business around that. And so the first book came out of that. And you know, what’s interesting is I’ve heard it said that your first book is for many people, very autobiographical. And that’s the case for me, it was making sense of my life up to that point. It’s not a business book. It’s very much a cup of hot chocolate amongst friends of, you know, really me sitting down and saying to you, “I want you to dream and here’s why you need to dream.” But that’s what got me started. And so I was writing that book, I published that in 2012, but at this time, or during those years, I was now working with Clay. We had started the fund in 2007 to 2012, steeped in disruption. This idea, this kernel of idea that I’d had when I was still working on Wall Street and decided to disrupt myself is now becoming more formed. And I’d written an article for Harvard Business Review called Disrupt Yourself. And I had people saying to me, okay, you’ve got to write a book because you don’t have a book on this topic and people are asking you to speak. And so that was really the impetus for writing that book was I needed a calling card for when I went out to speak. But also to codify what I think. Because as everyone who’s listening to your podcast knows, is when you have to actually write something down or type something into the computer, then you know what you think. When you’re just talking about it, you don’t actually know what you think. And then the progression from there is I write Disrupt Yourself and I have a lot of people saying to me, “Okay, so I get it, but I’m not going to let anybody in my organisation read this because they’ll all leave.” And I’m like, “No, no, you don’t understand. Disrupting yourself as how you keep people from leaving. This is how you keep your organisation from being disrupted.” And so Build An A Team – whereas Disrupt Yourself is for you, like, how do you do this? How do you know when it’s time to make a change, and here are seven steps for how to do it? – Build An A Team is, okay, how do you as a leader use personal disruption for people on your team so you can build a great team and so you can avoid being disrupted as an organisation? Alison Jones: It’s fascinating to hear the progression of the thinking and also how the books come around and then how they’re a response in a sense to the conversation that you’re already in, you know, in your business and when you’re talking. Tell me about how the podcast and the books fit into your business and your life now. So we talked about how they’re a calling card when you’re speaking, it’s that sense that, if I talk on this then I better have thought about it and if I’ve really thought about it, I guess I’d have written the book on it. How else do they work with your business and what do the books and the podcast do for you as a person and as a professional? Whitney Johnson: Yes, such a great question, Alison. So whenever I think about books or actually anything, or actually anytime we do something, there’s always a functional and emotional job that we want things to do for us. I think for the very first book, the functional job was that I had people reach out to me and say, “We want you to speak at this event called Timeout for Women. You need a book, so write the book.” So that was the functional job. The emotional job was to make sense of my life up to that point. With Disrupt Yourself, the functional job was you need to have a calling card, codify what you think. The emotional job was on self expression, being able to figure out a way to make it safe for people to change and give them a structure to do that. And then Build An A Team, the functional job I would say is be able to, from a business perspective, to have companies and organisations that want to work with me, to have a way to interface and to be able to do consulting work and have this really clear framework for them on how to build a great team. And to help them, now this goes to the emotional job for them, so that they understand how they can help people live their best lives. You do it by allowing, encouraging, requiring people to learn to change, to learn, leap and repeat. And then, I guess for me the emotional job, but also a functional job is to be able to build out my business is the functional piece, and the emotional piece is to be able to have more touch points and being able to really interact with people in a much richer and deeper way. Because now we’ve moved beyond the individual to the organisational and the systemic change that so many of us are grappling with. The podcast, just really quickly, I would say I really started that because I’ve always loved to interview. I remember a decade ago I had a friend say, “You’re really good at this. You’re like Oprah.” Well, I’m not Oprah. But it was a compliment that stuck because whenever anybody compares anything to Oprah, we like remember it and cherish it deeply. And so I do love it. From a functional perspective, I get to interview interesting people. It ends up being research for my book. It’s a way for people to know me. More and more people are actually reaching out to me for speaking because of the podcast. And I think it’s because, as you know, it’s just so much more intimate than the written word. So again, those are the jobs it allows me to do, is I’m able to connect more deeply with people who are interested in this topic of change. And then emotionally it’s just really, really fun to be able to have an intimate conversation with someone for a half an hour to 45 minutes and then to get those notes from people saying, “I listened to your podcast and because I just, this interview that you just did with this person like Sean Sakinofsky, I am going to really rethink how I’m living my life.” Like that’s gold, right? That’s just so, so meaningful. Alison Jones: That distinction that you make between the emotional and the functional is such a helpful distinction, I think it brings real clarity to what you intend with a book. I think that’s a really helpful distinction. I am completely gutted that nobody’s ever compare me to Oprah. It’s never happened. Whitney Johnson: (laughs) That’s hilarious. Alison Jones: If you’re listening, that would be a lovely thing to say, somebody. But yes, that moment when somebody reaches out to you and says, “Oh my goodness, that thing that your guest said, that has transformed the way I think about, my business, my book,” you know, whatever it is, it’s just priceless, isn’t it? Whitney Johnson: Yes, it is. And what’s interesting too is just building on that a little bit more, the functional/emotional that you just said, is this idea of like, for you as an author, there’s a functional job that you want the book to do and an emotional job. But you’re also hoping that for the listener or the reader, there’s the functional and the emotional job that that book or that podcast is doing for them as well. So there’s like four different jobs that are getting done depending on where you are. Alison Jones: Brilliant. I’ve got a 2×2 matrix. Excellent. Whitney Johnson: There we go. Alison Jones: I love a 2×2 matrix. Great. Let’s talk about the writing for a minute, because I’m always fascinated to know what writing looks like for different people. You know, all we see is the finished thing on the page, but how did you get there? How did you take it from that initial idea, from the twinkle in the eye, through to plans with outline, through to a draft and then the final thing? And which bit of that do you love and which bit of that do you absolutely detest? Whitney Johnson: So, like everything, it evolves because we’re all on learning curves, including you Alison. And so I would say, one thing I would say, and I think this is actually really important, and this goes back to the functional/emotional. I don’t think of myself as a writer. That’s not how I self identify. And I think that’s an interesting thing because probably depending on who you talk to, some people will say to you, “I think of myself as a writer.” Other people will say that they don’t. And for me that’s important because I’m a perfectionist and I like to think that I’m recovering from perfectionism but I doubt it will ever fully go away. But because I don’t identify as a writer, it makes it easier for me to write because I don’t, like Liz Gilbert talked about in Big Magic, like every single word, every single phrase has to be perfect. I don’t feel that way. And so I think that’s an interesting thing for me and possibly for people who are listening. So onto the actual process. First book, really quickly and I think maybe you’ve got a lot of first time authors on here, I had been blogging for years. I had a publisher come to me and say, “Write a book on spec.” I thought I could just take my blog posts and voila, we have a book. Of course I couldn’t. I had worked with an editor who had also been an agent for a number of years on several of my Harvard Business Review articles. And so she was really an important, I don’t know if foil is the right word, but just a counterpart for me. She was like, “You’ve got to have a structure.” So she worked with me of like teasing out of me what should the structure be and really requiring me to still do the work. So she was mentoring me in that, not her doing it. Because I wanted it to be mine and so I required or allowed or hoped that she would pull it out of me. But then when I would get as far as I could and just be like, I’m stuck, I’m frustrated, I’m discouraged, I’d toss it back to her and say, “Can you do something?” And then she spent an hour or two and then got me out of my stuckness and then sent it back to me, and then we would move forward. I had a second editor on that particular book. She was a line editor. I needed someone who didn’t know me and who hadn’t been working with me. And that was important because she wasn’t drinking the same Kool-Aid and she pointed out something really important and I think we all need someone in the editorial process who is not steeped in what we know, that can de-jargon it and in her particular instance she was able to say, “You’re talking about dreams, but nowhere in here have you talked about values and beliefs, and how those inform what you have? And it was like, it was so obvious to me. It was such a given. It was such an a priori assumption. She’s like, “Wait a second, you’ve got to talk about the things that you believe.” And so that was really important. So I had a conceptual editor, I had a line editor, and then the conceptual editor also worked with me on the copy editing, before we even sent it to the publisher. The second book, I’ll try to go a little bit more quickly because I know we don’t want this to go on all day, but the second book, Disrupt Yourself, I’d already written the HBR article, so when I went into the writing process, I had the bones of what I needed to do. It probably took six months from start to finish to write the book. I’d written a lot of HBR articles on the seven different variables or accelerants of personal disruption. Again, similar process, Amy Jamison, conceptual editor. I had my HBR editor on the digital side do some freelancing for me on the editing. Then I send it off to four or five different people, like a musicology professor, someone who knows nothing about business, to read it and de-jargon it. So third book, a little bit more practised, I had, again, the conceptual editor. I had another person who was doing more research and writing for me because my time has gotten more limited now. I pulled a lot from the podcast interviews. We now have the diagnostic that we could pull data from that. But in every single process I would say the most important pieces that I’ve had three or four people that are really thought partners editing along the way. And then I think on the last book, probably what I would say is interesting is that the very, very last edit, even after I got back the copy edits from the publisher, I myself read the entire thing out loud. Because I knew that I was going to send this to Audible and I was going to be narrating it, and every single word had to sing. And the only way I was going to know if it would sing is if I read it out loud. And that took me about 10 hours to do those edits. To be able to make it sing, out loud, if you will. Alison Jones: But it’s amazing what you pick up when you read it out loud that you do not pick up when your eye’s just skimming over it on the page. Whitney Johnson: It’s fascinating, right? There’s so, so, so much. Whitney Johnson: Exactly. You end up, at least in my case, I end up, before I send it to the editor at the publisher, there have been three or four people that have really been involved and invested in the process. And another four or five who have read through it and given me their feedback. Like you said, it takes a village. Alison Jones: Yes. Brilliant. And so interesting to just lift the hood up and have a look at how you made that work. Brilliant. Thank you for being so generous with that. And I’m going to ask for more, because I’m so greedy. If there’s somebody listening to the podcast, and you’ve obviously given them hugely useful advice already, but one tip, particularly for their own writing, what one best tip would you give them if they’re struggling? Whitney Johnson: Oh, so, I have two tips actually, if you don’t mind. Yes, I’m going to disrupt your process and give you two tips. So the first one is, with your writing is, and this is advice that I got from Zach Obront, who was on my podcast and he’s in the business of helping people write books. It used to be called Book in a Box. I think it’s changed. But he said, what you want to do is when you’re at a dinner party and people say, “I have this problem. It’s time for me to do something different, but I don’t know what it is.” Are people going to say, “Oh, you’ve got to read Disrupt Yourself.” Like you want to have that, I’m at a dinner party, someone says, I have this problem, you say you’ve got to read Disrupt Yourself, you’ve got to read Build An A Team. And so that’s the first thing I would say is if you aren’t there, that’s where you need to get in order to be able to write a book that people are going to want to read. It has to be distilled into that small of a sound bite. Now, if you’re not there yet, that’s totally okay. And that goes to my second tip, is that if you want to get published, you have to start building your audience now. Like today, whatever that audience looks like, wherever you think your audience will be, it doesn’t matter where it is. It can be Linkedin, it can be Instagram, it can be YouTube, it can be a newsletter, whatever it is. But when you want to shop your book idea, one of the first questions, and Alison you can confirm this, you’re going to ask is, are there people that are going to want to buy that book? And so that’s why you need to start today because that’s going to probably take you longer than it will take you to write that book. And then what’s great about this is there’s a symbiotic relationship in the process of building your audience, what you’re going to do, you’re going to be writing, you’re going to be talking, you’re going to be tweeting, whatever it is, and you’re going to be socialising those ideas, so that by the time the book comes out, you know that you’ve got something that people want to read or listen to because you’ve been socialising it and iterating with your tribe for one, two, maybe even three years. And so first thing is, do you have a problem at a dinner party that someone says “You’ve got to talk to or read X.” Second thing is start building your audience today, wherever that is, so that when you go to the publisher and say, “Hey, I’ve got this manuscript,” and they say, “Who’s going to buy it?” You know who’s going to buy it. And it’s going to make it so much easier for you to get someone to want to buy your book. Alison Jones: Awesome. I think we should transcribe this onto stone tablets. That’s absolutely awesome advice. Thank you. And would you like to make a recommendation? What business book do you think that everybody listening to this show should read if they haven’t done already? Apart from Disrupt Yourself, obviously. Whitney Johnson: Yes, of course. I have two suggestions actually. So if you’re an entrepreneur, you have to read E-Myth. A I know you had him on your podcast, but that was life changing for me. Because I’m now, I’m an entrepreneur now. I’m building a business around Build An A Team. And I realised, I’m a technician, I’m kind of an entrepreneur, manager not so much, but you have to read that book. It’s transformative. Now, if you’re not an entrepreneur, if you’re in business generally, no matter what kind of business you’re in, the book that I found, instead of just coming up with a book, I thought, what book do I recommend all the time. And the book is, and I had him on my podcast, Donald Miller, StoryBrand. It’s how to tell the story of your business in a way that’s really, really compelling. And you’ve got to read that book. Again, whether you’re an entrepreneur, whether you’re trying to build your own brand inside of a company or out, you all need to read StoryBrand. Whitney Johnson: And you’ll feel the same way about StoryBrand when you read it, trust me. Alison Jones: Okay, that’s another one for the list. Brilliant. I should also say Clayton Christensen, The Innovator’s Dilemma. I read that over the summer. I put it on the Extraordinary Business Book Club reading list. Because it’s one of those books I thought I’d read, because people talk about it all the time and I kind of knew what it was about, but I hadn’t ever actually read it, and it is superb. Whitney Johnson: Oh, it is. It’s like going to the well. If you asked me my most influential book, obviously it’s going to be The Innovator’s Dilemma, but I felt like that was sort of a given, but yes, that’s number one. But then these other two books, obviously, I think are really important and powerful as well. Alison Jones: Yes. Brilliant. Thank you. Just so many books, so little time. Whitney, if people want to find out more about you, more about all the stuff that you do, where should they go? Whitney Johnson: I think there are two things that are the easiest. You can go to my website, whitneyjohnson.com to listen to the Disrupt Yourself podcast. And/or if you want to reach out and connect, you can email me at wj@whitneyjohnson.com. Obviously, if you don’t necessarily want to talk to me directly, you can sign up for the newsletter and you’ll hear from me once a week. But those are a couple of different ways that we can interact. Alison Jones: If you just want to stalk me rather than actually talking to me than you can do that, brilliant. Alison Jones: Such a joy, I mean, you said you don’t want it to last all day. Frankly, I would have been perfectly happy for this to last all day. I’ve had such a good time, but thank you so much for your time today, Whitney. Whitney Johnson: Thank you, Alison. change, disruption, leadership, management, marketing, publishing, speaking, writing. Bookmark.